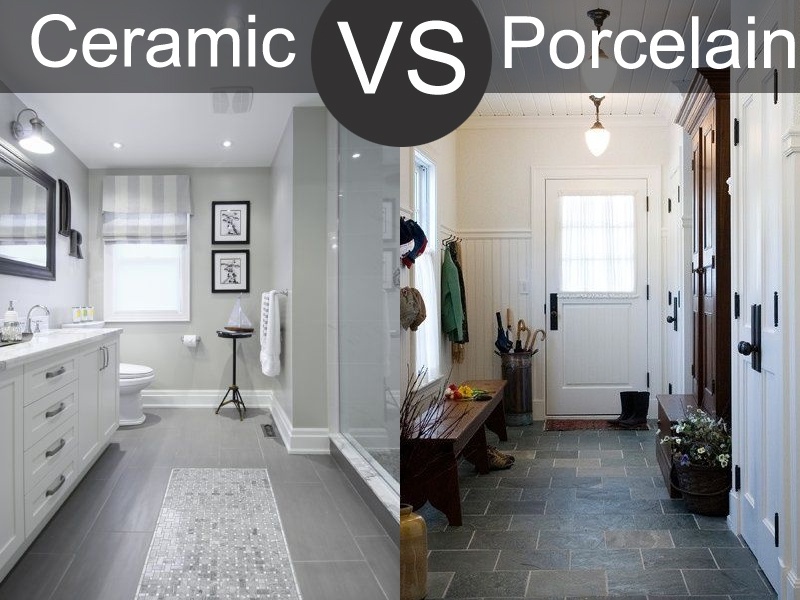 One of the questions we get asked on almost a daily basis is, “What is the difference between ceramic and porcelain tile?” Porcelain tile is ceramic tile. However, porcelain is made of a more refined and purified material than a regular ceramic tile making it more dense and less permeable than a regular ceramic tile. Regular ceramic tile is often characterized by a red, brown, or white colored bisque, while a porcelain tile is a white or gray color. The composition, as well as what temperature and how long it was fired, determines how dense the tile will be. A ceramic tile can absorb anywhere from 0.5%-7% water or more where a porcelain tile absorbs 0.5% water or less. 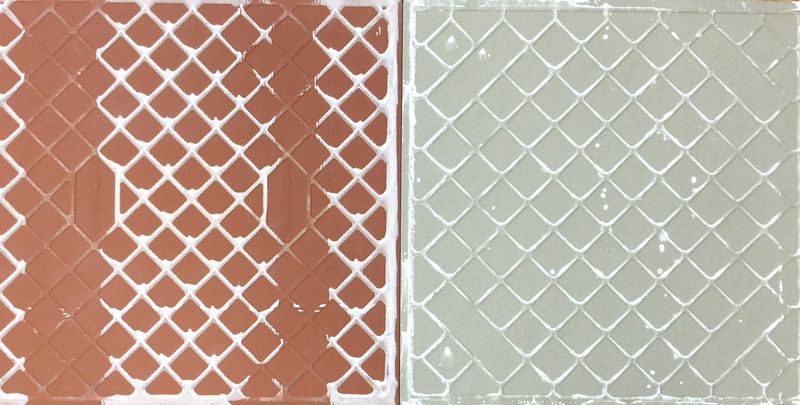 Because porcelain tile has such a low absorption rate it is the best choice for outdoor applications where a freeze/thaw condition could make a tile break. Because of how hard a porcelain tile is, makes it perfect for commercial use and high traffic areas. Another difference between ceramic and porcelain tile is that a porcelain tile needs to be set with a setting material that has a latex additive. Porcelain tile is so dense that it is hard for a regular setting material to make a bond. Adding a latex additive or purchasing a setting material with an additive already in the mix will allow it to bond with the porcelain tile. 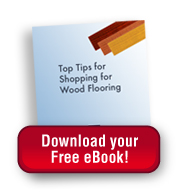 Ceramic tile is an acceptable material to use in a low traffic residential application. However in a high traffic area, like a kitchen, or in a commercial or outdoor application porcelain tile would be the best choice.